Born in France, Tony was a product of the Monaco youth system. He started out his professional career at Stade Nyonnais in 2009 and became a first team regular before making the move to Scotland in 2012. In June that year he signed for Livingston where he spent a single season before stepping up a level with Hamilton Accies. In his two years at Hamilton he played over fifty times and scored close to a goal every two games. Tony was nominated for the 2013/14 PFA Championship Player of the Year and selected to the team of the year that same season. He helped Hamilton to promotion during his time there. 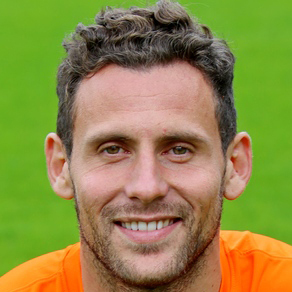 His great form at Accies earned Tony a big move to Norwich City in February 2015 and while with the Canaries he was loaned out to Rotherham United. On transfer deadline day in 2016, Tony made another loan move, this time to Tannadice on a year long deal. Tony was born on this date in Cagnes-Sur-Mer, France. 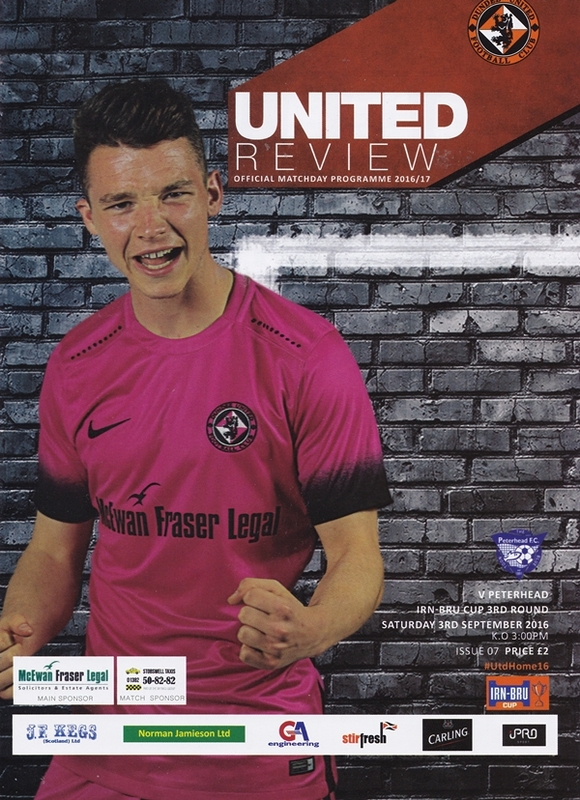 The 3520 inside Tannadice witnessed a start from United that was as bright as their shirts with Charlie Telfer giving them the lead after 59 seconds. Blair Spittal and new signing Tony Andreu played a neat one two before finding van der Velden who laid off to Charlie Telfer to fire a venomous 25 yard strike into the roof of the net which beat the goalie all ends up. On five minutes United nearly found themselves pegged back in calamitous circumstances. In what seemed an easy ball played long by Peterhead, Toshney and Zwick left it for each other and the ball made its way through to McAllister who wasn’t expecting the ball to come his way and luckily for United it hit the Peterhead front man and went out harmlessly for a goal kick. Both teams were moving the ball around with confidence without testing either goalie however that was to change on 29 minutes when Peterhead drew level. After a slack play from United, Ryan Baptie collected the ball just outside the United box and played the ball into Rory McAllister who steered the ball into the bottom corner from 18 yards. On 36 minutes United edged in front again. Spittal picked up the ball on the edge of the Peterhead third and fed Nick van der Velden who cut inside the defender and drilled the ball low into the net with the Dutchman making it look easy, Hobday in the Peterhead goal didn’t even move. Joy turned to frustration almost immediately as only one minute later Peterhead were level. McIntosh showing great footwork made it to the byline and found Rory McAllister with a fantastic cross and the prolific front man flexed his neck muscles and buried his header past Zwick from 10 yards. This Dundee United versus Dumbarton fixture had been selected for live broadcast by BBC Alba and therefore kicked off at 5:15pm. As such, the United players and fans were aware that fellow challengers for second place, Falkirk, had drawn 2-2 at home to Queen of the South and that their destiny was now in their own hands. Ray McKinnon made two changes to his starting eleven from the side which had defeated St Mirren 3-2 at Tannadice in their last match with Coll Donaldson replacing William Edjenguélé who was beginning a two match suspension and Wato Kuate coming in for his first Dundee United start in place of Scott Allardice.